Earlier this week, the Dallas Museum of Art announced that starting in January of 2013, they are moving to a Free Admission and Free Membership system. Mr. Fantastic and I are currently sustainer members and we really enjoy our visits to the museum. Last year, I took advantage of our membership during the Jean-Paul Gaultier exhibit that came to Dallas and went SIX times with my sister, Morgan, friends, and Mr. Fantastic. 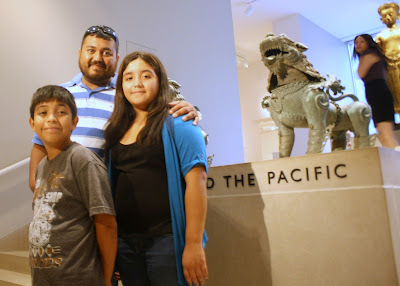 We've previously taken our kids and spent the entire day at the Museum with my brother and his kids. Many people don't know that the Dallas Museum of Art is funded by the tax payers of the City of Dallas and Dallas County. Unlike private museums, it really depends on the generosity of it's members, supporters and visitors. This is a huge step to increasing the number of visitors each year and making a lasting impact on the young people of Dallas. Young people that will hopefully come back again and again and one day become the philanthropists of the future. That is what I hope for my sister, who doesn't even live in Dallas, but loves visiting it with me when she is in town. I admit that we don't get to visit as often as I'd like. We don't live in Dallas or even Dallas County and any trip to the museum is a full event that we must plan well ahead of time. We were even considering not renewing our membership once our current membership expired today. 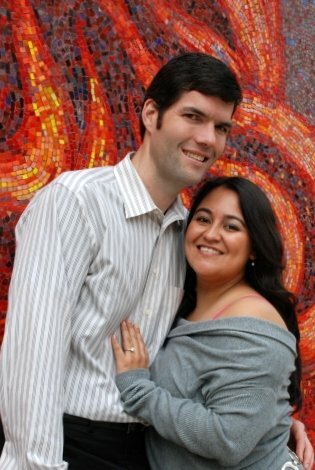 The photo below is one of our engagement photos and it was taken on the wall opposite the main entrance to the museum. It was one my parents used in the newspaper announcements. We were both THRILLED to read the news of Free Admission and Free Membership. It made us extremely proud of the Museum and the hard break from the elitist and often exclusive culture that permeates the art world. To show our support of this bold move, today we not only renewed our membership, we upgraded our membership to Friends of the Museum. I was delighted to discover that when the transition occurs in January, we will actually be bumped up to Advocates of the Museum as they are upgrading all memberships during their inaugural year! What do you think of this move by the Dallas Museum of Art? Great to hear this news! Growing up in Texas, I remember it always being a treat getting to go to the DMA. When my parents were members, I remember getting to see the underside of that huge sculpture of the rope and stake that was in the lobby -- the sculpture continued on the roof of the level below, in the archives! 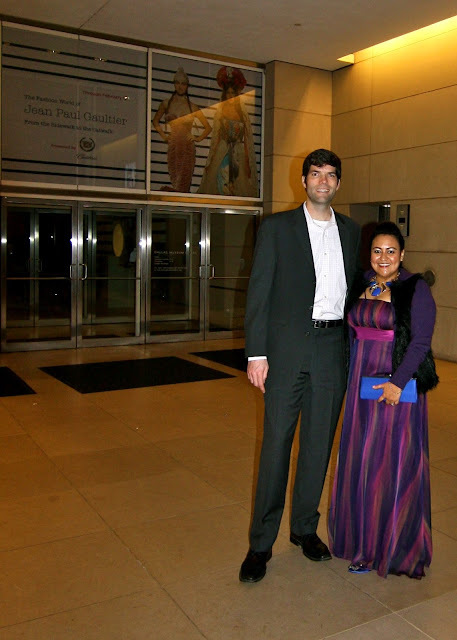 By the way, you look *fabulous* in that long purple gown in the top photo!